DA aims to govern Gauteng, N Cape, W Cape - SABC News - Breaking news, special reports, world, business, sport coverage of all South African current events. Africa's news leader. DA leader Mmusi Maimane says the party is confident of outright majority in the Western Cape . 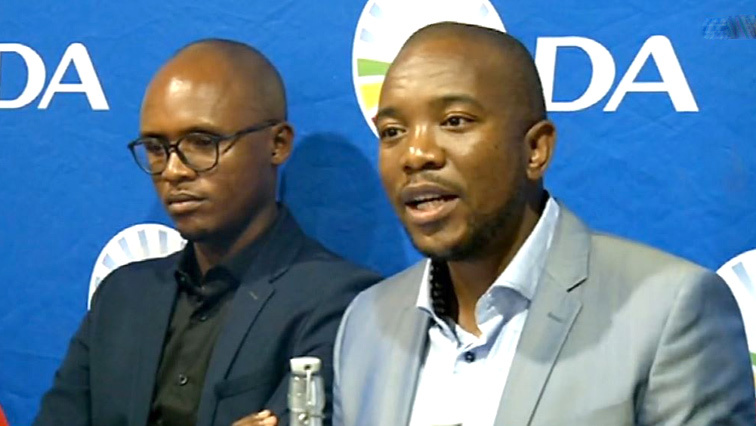 The Democratic Alliance (DA) has set itself a target of governing Gauteng as well as the Northern Cape and retaining the Western Cape with an outright majority after the upcoming elections. over the weekend after its last Federal Council meeting prior to the elections. The DA is optimistic about governing two additional provinces after the elections. It is confident of outright majority in the Western Cape and is also eyeing Gauteng and Northern Cape. Party leader Mmusi Maimane says their manifesto is about stimulating the economy, safety and security of South Africans, delivery of basic services and redress. He says they will field public representatives who are not questionable. It puts emphasis on containing government expenditure. Its Cabinet structure has been reduced and also a new mayoral handbook which does away with luxury vehicles. It wants public representatives who abuse tax payer’s money to be held accountable. Maimane says this election will be a test to do away with corruption. The party also rejects Broad Base Black Economic Empowerment (BBBEE) as it benefits only the connected individuals and not the majority of South Africans. The party is also confident about growing its footprint nationally. This entry was posted on 10 Feb 2019,06:23PM at 6:23 PM and is filed under Politics, News, Homepage Latest Stories Slider. You can follow any responses to this entry through the RSS 2.0 feed. Both comments and pings are currently closed.